Simply because, we make it all about You and Your Horses! We consider ourselves “Solution Providers” rather than simply someone to sell you horse stall equipment. Our goal is to understand how you care for your horses, then help you choose the proper components to suit your needs. Our process involves working directly with you and your team (designer, architect, builder, and/or trainer) to help ensure that your project runs smoothly from start to finish. Over the past 25 years we have tackled every possible scenario, from small home based barns, historical renovations, large commercial barns, and state of the art "Dream Barns". Your project, big or small, will be handled with same attention to detail and care as the next. We manufacture all our steel fabricated product in our factory in Missouri. 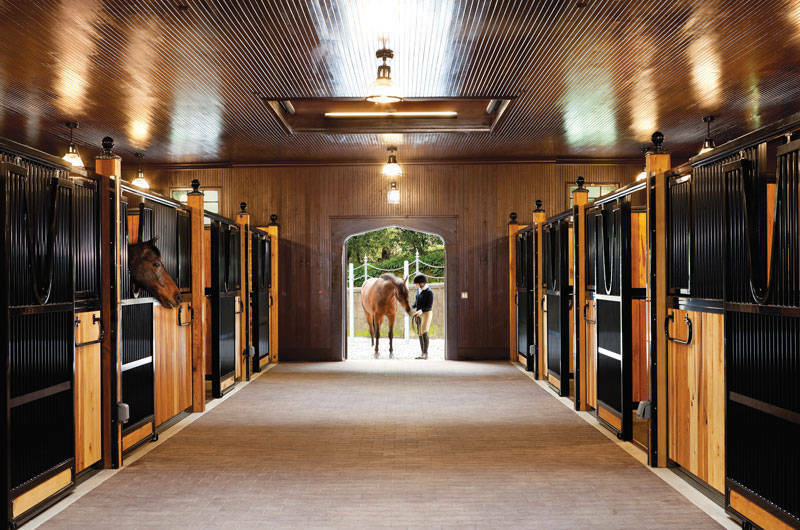 Your horse stalls and barn doors will be backed with industries best warranty as we very proudly stand behind the product we manufacture! The bottom line is… There’s nothing like a Classic!